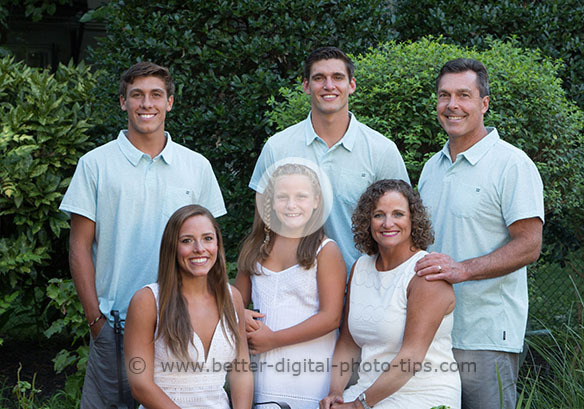 These 6 family portrait tips are intended to be used by you if you are being hired as a professional or just being asked to be the designated family portrait photographer! Let's face it, everyone appreciates it when the family portrait comes out just right. These tips will help. This family portrait guide is for everyone. These are good ideas for everyone to use. A little planning makes everything go better than just winging it at the last second. Find out who is going to be photographed ahead of time. Knowing the number and ages of your subjects before the day of your photography session will allow you to plan some posing ahead of time. You can search "poses of 4 people," or "posing for groups of 5 people" for example, on this site or others to get some fresh ideas. Your location, the posing, and the time of day when everyone can gather are all affected by your subjects ages and schedules. Two year olds are not at their best for a sunset portrait on the beach when it's an hour after their normal bedtime. Teenagers don't do well earl in the morning. 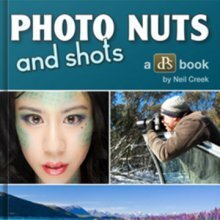 If you are photographing several young adults who go out partying on Friday nights, you may not get great results by scheduling a Saturday morning photography session at 9:00am. Use some common sense here. It take most people over the age of 12 at least 2 full hours to lose the sleep eyes look after a good night's sleep. Your posing will be quite different if you are photographing several young children or maybe a group photo of 7 adults and 2 eight year olds. Sketch out a few poses on paper ahead of time or at least draw a mental picture and you will have great confidence in what you are doing the day of your shoot. Here is a nice pose for a small family of three. Notice how the parents are angled inward and posed slightly behind the smaller child. Will you have some people standing, some sitting on stools or chairs, some kneeling or, sitting or lying on the grass? 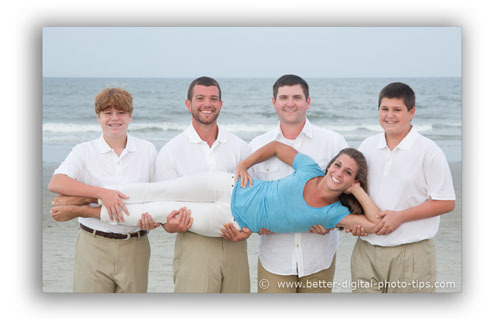 Do you know some of the basic "rules of compositions" Brush up on some Family Portrait Poses. The time of day and the existing lighting should be considered before the day of your session. Will you be using techniques of fill flash, bounce lighting, or portable strobes? Look for a background that is not distracting. Posing subjects in a sunny area usually gives you squinting subjects and harsh shadows. Are your subjects willing to travel 30 minutes or an hour to a specific spot that works great for location family portraits? Some people really go for the convenience of having portraits taken in their own home. If it's an indoor location, make sure you have plenty of room. If it's a very tight, cramped area, your pose will suffer. This is an important tip that makes a huge difference in the quality of your final photographs. Group portraits are so much nicer when you pick matching or complimentary colors. Solids are less distracting than plaids, stripes, or patterns. Dark colors make us look thinner. If you are planning everything else in your photograph, it's a big mistake to neglect your Portrait Clothing. Is it formal or casual? Match the clothing choices to the environment and the pose. Unless maybe you are shooting a wedding, Suits and ties don't match with casual posing in an outdoor environment unless you're shooting a wedding. 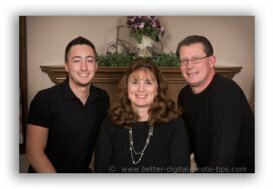 The two factors that you need to pay attention to in order to make sure you have sharp family portraits are focus and shutter speed. This take a bit of understanding of camera settings. 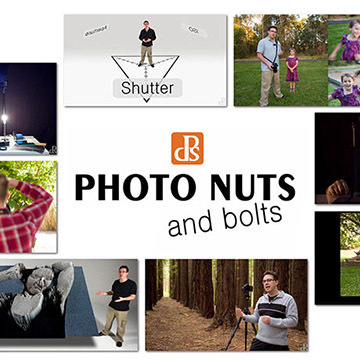 Use a shutter speed of 1/125 second or faster to freeze any motion from your subjects and any movement of your camera. Even the slightest camera jiggle will cause some lack of sharpness, even if it's not obvious blur. I almost always use a tripod. I like the security of holding the camera still and I want to be able to watch my subjects "live" while I click the shutter. Focus about 1/3 of the way into your pose. Just as important as shutter speed is, you've got to nail your focus just right, too. If you have two rows of people, focus on the front row. The way camera optics work, you'll get more sharpness behind your focus point then you get in front of it. If you have several rows of people, try to focus on a pint that is about 1/3 of the distance into the range of closest and farthest person. 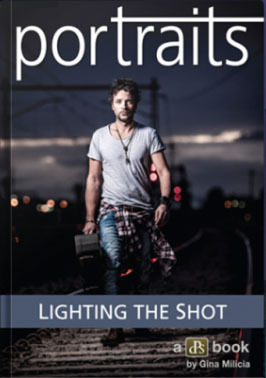 If you have followed the first 5 portrait tips, then the fifth is the fun one. 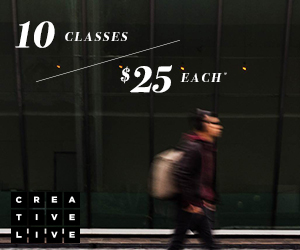 In addition to the sketched out ideas, get creative and break a few composition rules. Think outside the box, and shoot some candid or non-conventional photography after the safer, traditional photos are done. It's bonus time! This is how you grow as a photographer. This is how you expand your creativity and have some fun. Shooting a couple of unique poses will keep your clients happy too. 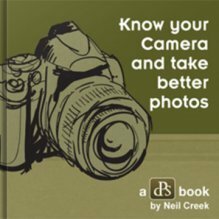 Photography Portrait Tips. 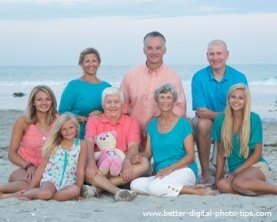 In addition to these 5 family portrait tips, here is another photography article on portrait tips. This one, giving tips on posing an individual's portrait, has photo examples to make each point. These 5 family portrait tips that are just general but are very valuable to start with. You can refine your posing and lighting technique as you progress and improve. 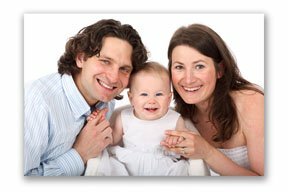 Here are specific photography poses for family portraits with 3 people in them and links to group photos with 4,5 or 6 people in them.